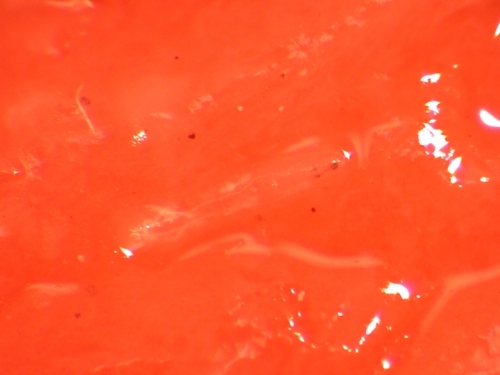 Two species of dipteran larva (maggots) were found feeding on strawberry fruits in the Santa Maria area recently. Last year, there was a minor issue of fungus gnat larvae and another species (probably Delia sp.) damaging young strawberry plants, but the recent observations are isolated incidents of damage to the fruit. Specimens brought to the Santa Barbara Ag Commissioner's office were identified by the county entomologist, Dr. Brian Cabrera. Strawberries from a greenhouse in the Santa Maria area were infested with dark-winged fungus gnat larvae (Family: Sciaridae). 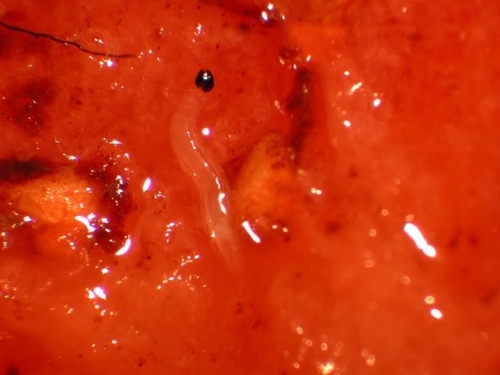 These maggots have a dark head capsule and a worm-like body. The second incident was where some field strawberries were heavily infested with the larvae of the fruit fly, Drosophila simulans Sturtevant. 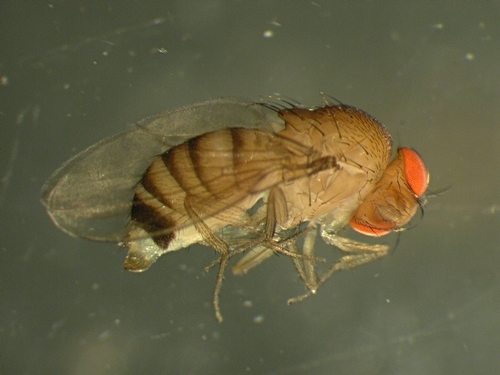 It is a species very closely related to the common fruit fly, D. melanogaster. 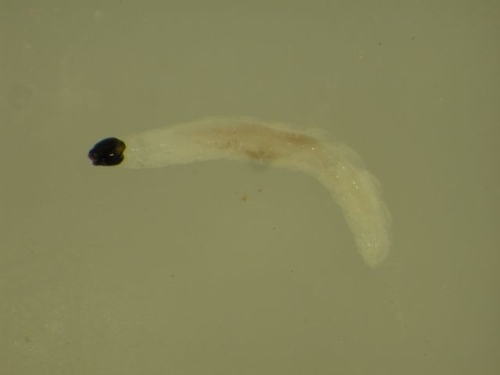 Both fruit fly species are very similar, but can be distinguished based on the characters of external male genitalia. Fungus gnats or fruit flies are normally not considered as pests of strawberries. Ripe fruit left on the plants could have attracted resulting in the damage we noticed. With good sanitation practices and timely harvesting, these insects are not expected to damage strawberry fruits.